Warning: This article contains major spoilers for the Marvel event Avengers vs. X-Men. If you’ve never read it or want to in the future, don’t read this. Spider-Man is one of the most recognizable faces in Marvel Comics. People around the world know his story, even if they haven’t seen any of his five movies (soon to be six.) Uncle Ben’s famous lines “With great power, comes great responsibility” echo through almost every medium in pop culture. Spider-Man’s red and blue costume will most definitely be seen on the streets on the night of Halloween. He’s the one hero most kids look up to. Why? Well, the answer is a bit deeper than the fact he’s funny. He represents that natural good that is in everyone. He’s Superman, if Superman was funny. When Spidey isn’t saving the citizens of New York, he’s just Peter Parker. That’s what people love about him. He isn’t an alien, a super-genius billionaire, or some guy with military training. Peter Parker has to do chores. He has homework. He also is a bit insecure. Who can’t relate to that? As Spider-Man, he gets to be the jock he’s always wanted to be. He gets to be that hero we all want to be. His powers give him abilities that superheroes like Daredevil, Hawkeye, Batman, Black Panther, Punisher, and Cyclops could really use to their advantage. Spider-Man is one of the elite superheroes in Marvel. He could easily break all the rules of being a superhero and no one could stop him. But he stops himself. He doesn’t use his powers as Peter Parker, and he even holds back when he fights common thugs. That’s the type of guy he is. I think deep down we all want to be that good. Some of us are, but it takes something extra to push us to that place. For Peter, it was Uncle Ben. Before Uncle Ben died, Peter was using his powers. We saw this in both movies. No matter if it was Tobey or Andrew helming the role, we saw Peter lose his way a bit when he first got his powers. They were his way to escape his “nerd” persona. A way to get back at the people who had wronged him. Who could blame him? Not me. If I got powers like that in high school, you best believe I would’ve replaced our star quarterback in a heartbeat. Anyways, it wasn’t until Uncle Ben died when Peter realized the message his Uncle was trying to teach him. So what does Peter decide to do? He decides to not let his Uncle die for nothing. He becomes the living embodiment of that famous quote. His whole approach to life changes. Through that, he learns to laugh in the face of life. It’s an attitude I’ve admired for years, and still do today. It’s why Spidey is one of my favorite Marvel characters. Another trait of Spidey I’ve always admired is his willingness to die. What I mean by that is his almost unhealthy desire to protect those in need. I know what you’re thinking. “Don’t all superheroes have that in them?” To a degree yes, that’s why they’re superheroes. But Spidey’s is a bit different, because like I said, it’s almost unhealthy, but damn is it inspiring. Spider-Man doesn’t think twice about protecting innocent people. He doesn’t think twice about how he should save them. The only thing that goes through his mind when people are in danger is that he is the only one who should help them. Even when he’s busy with something he’ll find a way to help. Both Tobey Maguire and Andrew Garfield had awesome moments during their time as Spidey. In Spider-Man 2 during the train fight scene, Doc Ock grabbed people off of the train and began to throw them off the train. Some heroes might not be fast enough to save the people or have the wits to save them. Spidey caught each person and created a web nest for them to fall on. An awesome moment showcasing his desire to help. Andrew Garfield’s moment came in Amazing Spider-Man 2. Electro first got his powers and went limping into Times Square. He fried Spidey’s web shooters so Spidey only could use one of them. 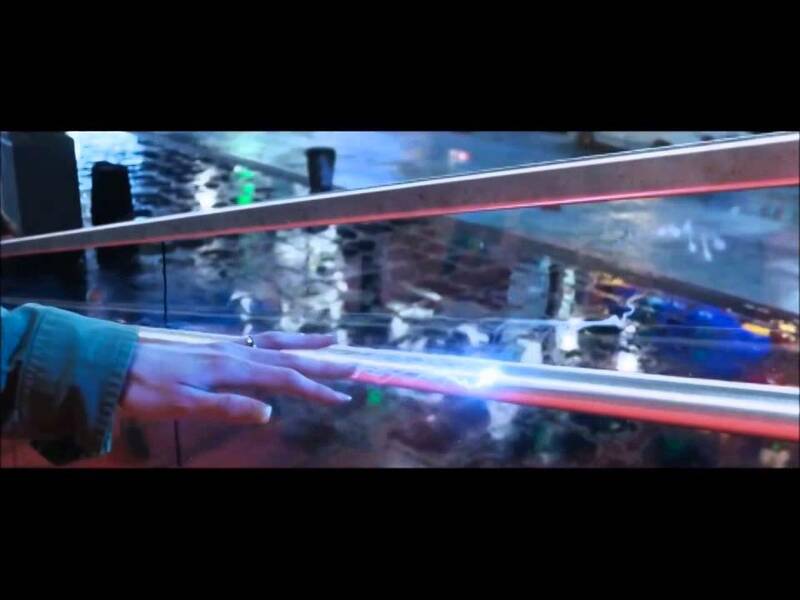 Electro began to electrocute a nearby railing that people near the pair were about to touch. With his one web shooter, Spider-Man stopped an incoming cop car, and saved two people from being shocked to death by pulling their hands away from the railing. Two different actors, films, and styles of Spider-Man, but that core instinct in the character will always be there. The story revolves around the Phoenix Force. If you’ve seen the X-Men movies or read any comics, then you know what that is. For those of you who don’t, it’s a cosmic entity that takes a physical host. Whoever it possesses becomes evil and is bent on world destruction. It’s main host, Jean Grey died from her encounter with it. But now it’s returned. The comic starts off with Nova interacting with the Phoenix Force in space. He then heads to Earth to warn everyone about the coming danger. The conflict on Earth revolves around Cyclops’ X-Men. At this point in the Marvel Universe, the X-Men are in disarray. Scarlet Witch nearly destroyed the mutant race in the event House of M by uttering the phrase “No more mutants.” Her powers got out of control and it left the mutants on the brink of extinction. During the story Messiah Complex, the first mutant born since that event causes a huge race to get to the mutant first. That mutant is Hope Summers. The events of Messiah Complex split the X-Men and Cyclops, along with Emma Frost, created a base on the island of Utopia. Hope lives and trains with them. Cyclops believes she is the key to restoring the mutant race to power. Spider-Man comes into the story because he obviously is on the side of the Avengers. They encounter the Phoenix Force. Everyone in the Marvel Universe knows how destructive it is. Cap and his team, along with Wolverine and his team of X-Men, go to Utopia to talk to Cyclops. But we all know how talking goes in the Marvel universe? A fight ensues and we have some awesome moments. Red Hulk vs. Colossus, Luke Cage vs. Namor, and Magneto vs. Iron Man. Hope ends up on the run from everyone. Wolverine ends up tracking her down, but sells her out to the Avengers. The X-Men track her down as well and another fight is set to happen on the moon. The Phoenix arrives. Iron Man build an absolutely enormous suit that is going to fire a powerful disruptor blast at the Phoenix. The blast is epic, except Iron Man is notorious for screwing up. The Phoenix Force splits into five pieces, taking over Cyclops, Emma Frost, Magik, Colossus, and Namor. They are the Phoenix five. The Phoenix Five take over the world. Not in a bad way at first. They help society for the better, but their arrogance grows with every deed they do. After a series of fights across the world and the destruction of Wakanda by Namor, AvX takes us to the mystical city K’un Lun, where Iron Fist trains. Hope is learning from one of the wise masters here learning to harness her true power to defeat the Phoenix five. Spider-Man takes over the event at the start of this issue. All of this is weighing on Spidey. He says that it’s been eight days since the fall of Wakanda. More than eight days since he cracked a joke. He’s with Hope helping her train. She tells Spidey to stop being so gloomy. She say that the good guys always win in the end, right? His response is perfect. He says, “Tell that to my Uncle Ben.” Even through all of this end of the world drama, Peter manages to think about the man who started it all. Wow, what wisdom. And what is Hope’s response to this? A typical teenage response of, “I am ready!” I love this moment because Spider-Man isn’t all jokes. Underneath that humor is someone who watches life. He’s an observer. Not only is Spidey an observer, he’s a learner. He learns from his mistakes and others. He also learns from people’s success. Being part of the Avengers, Spider-Man knows he isn’t necessarily the leader (although I’ve always wanted to see an older Spider-Man lead the Avengers. How cool will that be?) Even though he isn’t the “top dog,” he knows that his moment will soon come. It’s kind of ironic. Hope’s attitude in this comic seems similar to how our current Spider-Man in the MCU is going to be. He’s eager to prove himself and show to Tony Stark that he’s ready to be an Avenger. This scene is amazing. Spider-Man gets up again. This time, making a funny Rocky IV reference. He continues to annoy the siblings. The fighting ends when Magik continues to call Colossus weak for not finishing him off. It’s been a theme constant ever since they got the Phoenix powers. Colossus is the most kind-hearted of the five and Magik was starting to lose her way. She thinks he’s weak, he thinks she’s drunk with power. Our favorite neighborhood webslinger notices this. Laying on the ground, he tells them that they need to learn how to get along. Especially since if one of them lost their powers, the other person would obtain it. He fed off of the Phoenix’s obsession with absolute power. Colossus and Magik turn on each other, destroying the Phoenix within both of them. Spider-Man is delirious. He says, “Did I do good Uncle Ben?” Spider-Man stepped up alright. He proved why he’s an Avenger. This moment stands out to me so vividly mainly because of the roller coaster of emotions I went on while reading this comic. I felt such admiration when reading Spidey’s speech he gave to Hope. Seeing him step out of his normal joking routine is always refreshing. During his fight with Colossus and Magik, I felt anxiety due to the fight, anger because I was done with the whole Phoenix thing, joy when reading Spidey’s subtle jokes while being decimated, and sadness when I realized this might be the end for Spidey. I always see people complain about the lack of death in Marvel movies. It’s a silly complaint because death, when not timed correctly, can feel like a cheap ploy to move a story forward (yeah, I’m looking and talking about you Batman v. Superman.) It isn’t always needed to ignite that raw emotion out of us. This scene made me feel every type of emotion when it comes to Spider-Man. And even though he didn’t die, this scene embodies everything Spider-Man represents. It shows why he’s one of the greatest comic book characters ever created. If we can all strive to do good like Spider-Man, this world will become a better place, slowly but surely. Like he said, we just have to be ready to step up when life calls for it. I really hope you enjoyed this piece! What’s your favorite Spider-Man moment? Let me know and remember to follow me on Twitter @Hero_Review. Thanks for reading! !